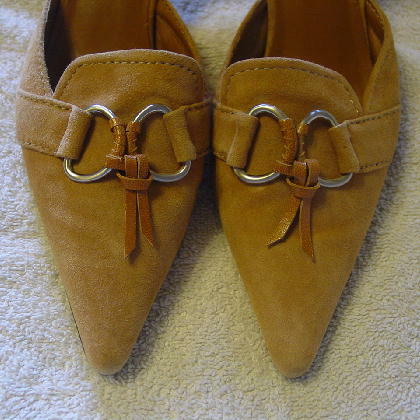 These camel color suede pointed toe shoes are by Nine West. The vamps have two metal decorative ornaments with two tan faux leather strips bound around both in the inner center. 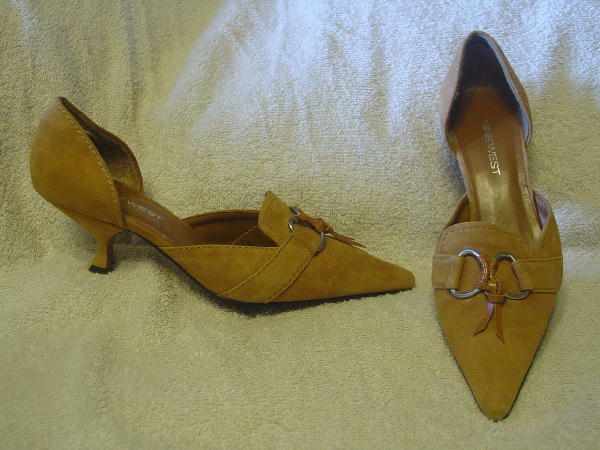 They have open shanks and princess heels. There are tan padded insoles in the back 2/3 of the inner soles. 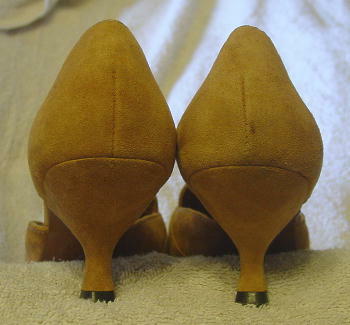 The right shoe foot heel back has a small darkish line mark to the right of the center seam. Both pointed toes have a few small darkish areas.